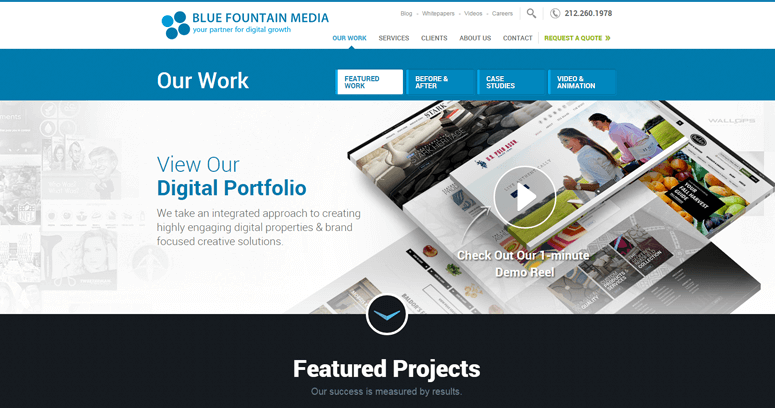 When stunning results are the name of the game, you cannot afford to turn to a design team like Blue Fountain Media. 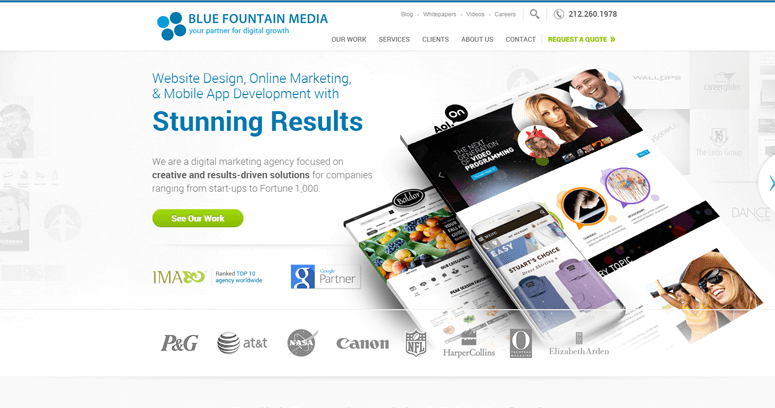 They are one of the top Web design firms in business today, and they go the extra-mile for all of their clients. From small businesses that are looking to knock off their larger competitors to large businesses that are looking to remain agile, they know what it takes to get the job done. They focus on creativity and results-driven solutions that will help their clients increase their bottom line. 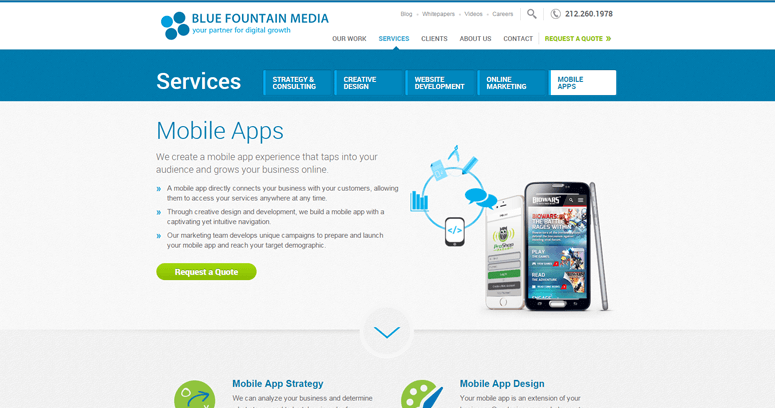 When you do business with Blue Fountain Media, you are entering a partnership that will prove to be very fruitful. They are a firm that is committed to pushing the envelope of Web design in a calculating manner. To see what they can do for your growing brand, all you have to do is reach out to them today.